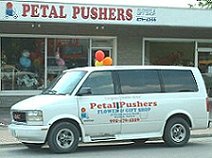 Petal Pushers is a leading, full service florist proudly serving the Keswick area for 16 years. Our talented designers have 28 years combined experience to create all your everyday & special occasion flowers, sympathy arrangements, plants, fruit baskets, balloon bouquets, wedding flowers and more! 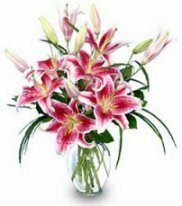 Wedding & Special Event Flowers ~ Whether time-honored and traditional or modern and contemporary, we design bouquets and floral designs to reflect a bride’s individual style and budget. For your convenience, we also supply invitations and wedding rental pieces. Let our experienced floral consultants help you plan a truly magical event with gorgeous, unforgettable flowers! All Occasion Giftware ~ Browse our assortment of dish gardens and green and blooming plants for a gift that brings life to any room or office. We carry an assortment of baby gifts, balloons, decorative candles, greeting cards, silk & dried floral designs and more! Our staff is ready to assist you with placing orders for local delivery or anywhere in the world. Not sure what to send? Let us offer some creative suggestions. We are located in the lakeside community of Keswick, about a one hour drive north of Toronto and are open to serve your floral and gift giving needs: Monday through Thursday 9 am to 6 pm, Friday 9 am to 7 pm, and Saturday 9 am to 5 pm. Thank you for visiting our website. Convenient and secure online ordering is available anytime, day or night!